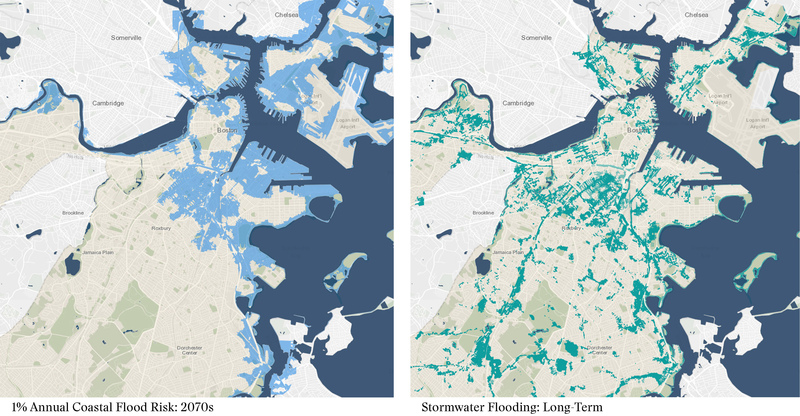 Utile was selected by the Boston Planning & Development Agency (BPDA) to lead the Boston Flood Resiliency Zoning Overlay District & Resiliency Design Guidelines initiative. The consultant team will develop zoning recommendations for a flood resiliency zoning overlay district and related design guidelines for new construction and building retrofits to guide compliance – a critical step in the City’s Climate Ready Boston initiative. The study area includes the highly vulnerable areas of East Boston, Charlestown, and the South Boston Waterfront. Utile is looking forward to getting started on this nine-month project with the BPDA team, the City of Boston Environmental Department, and our consulting partners, including Kleinfelder for resiliency policy, HDR Engineering, Inc. for economic development, Noble, Wickersham & Heart LLP for legal counsel, and Offshoots, Inc. for landscape architecture. You can read the BPDA’s project announcement here.